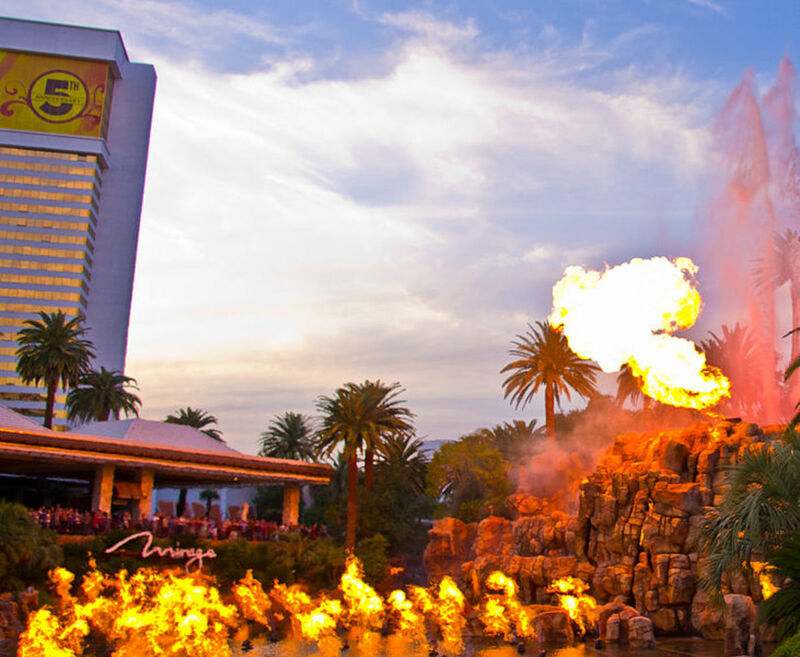 Las Vegas was always been known for its decadence, but it is only in the past decade that it has become a must see attraction for truly fine dining. World famous celebrity chefs are now concentrated within a four mile radius along the Las Vegas South Boulevard street known as the Strip. I hope this condensed list helps you choose among each of these restaurants that are all par excellence. Eleven time AAA Five Diamond Award winning Executive Chef Julian Serrano is in charge of this restaurant which features genuine Picasso pieces, including paintings and sculptures. 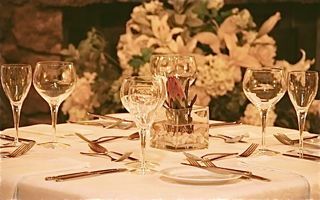 Seating over 150 individuals, like other restaurants on this list, they strongly encourage that you make reservations. While you may and will enjoy the work of Picasso, there are also seats available with a view of the Bellagio fountains which present a dazzling show of hydrotechnics. You may polish off the night with a selection of over 1,500 wines from the best vineyards in Europe. 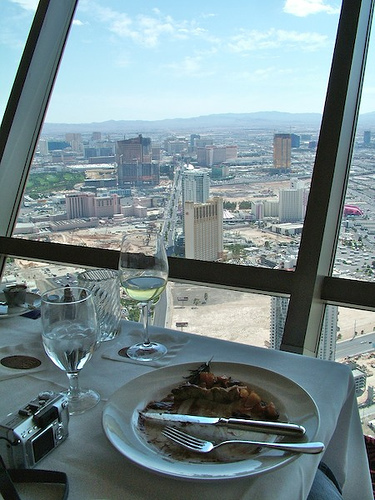 The Top of the World restaurant is located on the highest glass rooms of the Stratosphere. I went here after winning Prom King, and it was so expensive that I could only afford to order two sides instead of a full entrée! I nibbled off my friends' instead who enjoyed their signature dishes as well as a Stratosphere sculpted dessert. The dining area revolves so you can see the 360 degree view of the entirety of Las Vegas, but don't worry about motion sickness. It will be almost imperceptibly moving at a rate of one revolution per 80 minutes. Following closely behind the Top of the World's view of Las Vegas is the Eiffel Tower Restaurant located on the 11th floor of the Eiffel Tower replica. This restaurant sits far above the strip and features a unique, top of the line French based menu. Headed by Chef Joho who the New York Times has said is "A great chef at the top of his game," it is said by some that this restaurant is the crown jewel of Las Vegas fine dining. Wolfgang Puck takes steak to an almost unrecognizable next level at this chic steak house. 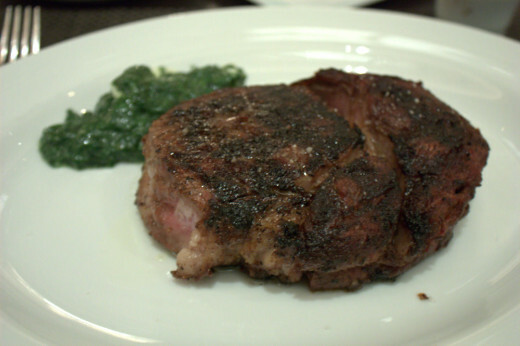 One can choose from steaks aged up to 35 days along with unique house made sauces. Not only is this one of the premiere restaurants in Las Vegas, but also widely considered to be a restaurant stop known to the world. Touted as being the ultimate in "refined fine dining," like other chefs on this list, Guy Savoy has won a Michelin star, an incredible award even among top chefs. Unlike the others, Guy Savoy has won three Michelin stars. With a strong French influence, this restaurant demands a spot on this list. 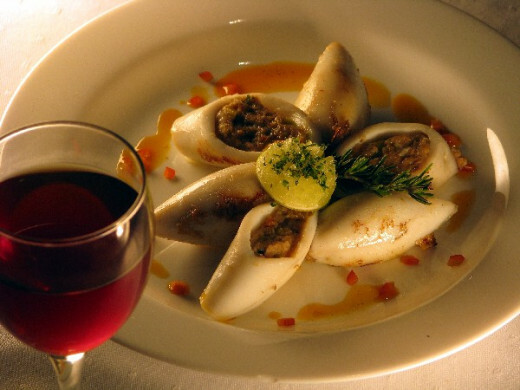 Menu's are most often served to the entire table. Joël Robuchon is a winner of a long list of prestigious awards and came out of retirement to open this restaurant with a strong French influence. He brings along with him a lifetime of experience and specialties. Seating is more limited than other restaurants for a more intimate feel, and of course, reservations are highly recommended. By far the best seafood and Japanese restaurant in Las Vegas, if not the country. barMasa features two superb chefs, Chef Masa Takayama and Chef Hirofumi Miyoshi. Authentic Japanese fish are flown from the coast of Japan to barMasa an average of 4 times per week. They boast that 24 hours is the maximum amount of time it will take for Bluefin Tuna to get from the coast to your plate. One word to describe barMasa is "essential". The food isn't disguised by a barrage of spices but rather each flavor is given the opportunity to present itself uninhibited. paired with seven selected wines. 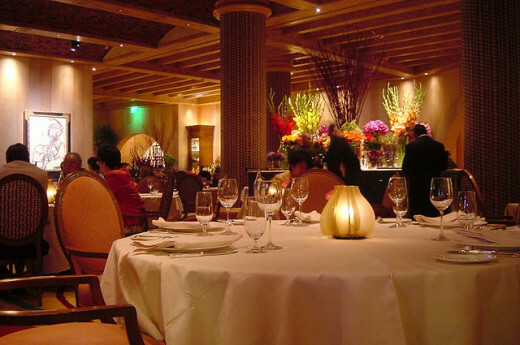 This Aureole is the counterpart to it's sister location in New York City created by Chef Charlie Palmer. It is sure to be memorable with its unique "Wine Angels". The Wine Angels are suspended on mechanical wires that lift them to the desired wine bottle on the stories high wine shelf. While other restaurants feature strong foreign influences, Chef Palmer chooses to celebrate native U.S. dishes. The menu is restricted to the entire table. Along with incredible cuisine, Andre's offers a powerful list of wines stretching to over 15,000 with the best post-dining drinks. Andre himself personally oversees the signature items on this menu, and one cannot dine here without the appropriately paired drink. 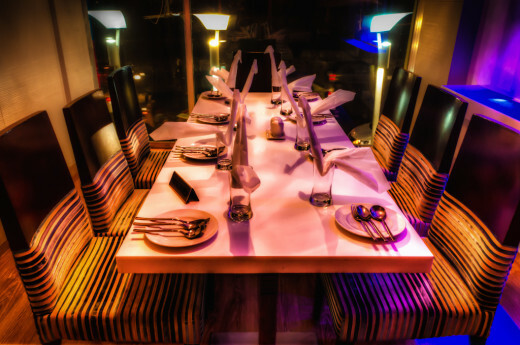 Above all the atmosphere does as much to embellish the experience as the food. I think you had a very smart strategy at Stratosphere. In really fine restaurants, the appetizers and sides can be a most economical way to enjoy really first class cooking with great ambiance. I did that a lot when I was younger, and it's still a good strategy when I am out with my husband. Another strategy - share the entrée with a date. I hope you had a wonderful time! Wow, I'm so hungry now! I learned a lot from this hub, and I always thought the most expensive restaurant was the airport! Lol. This is really beautiful and well thought out. I'm sure the search engines are going to love this piece. Voted up and awesome. 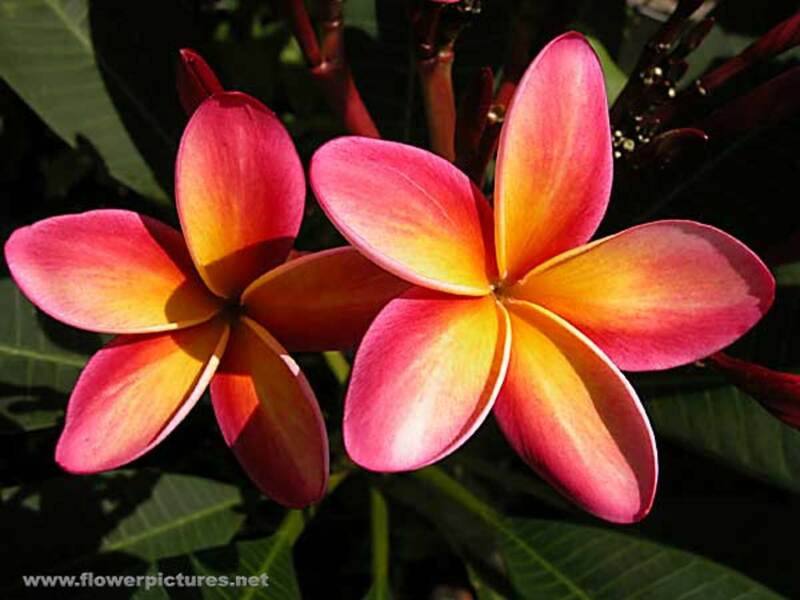 What a delicious hub! I'd do the Guy Savoy's menu, if I WON! 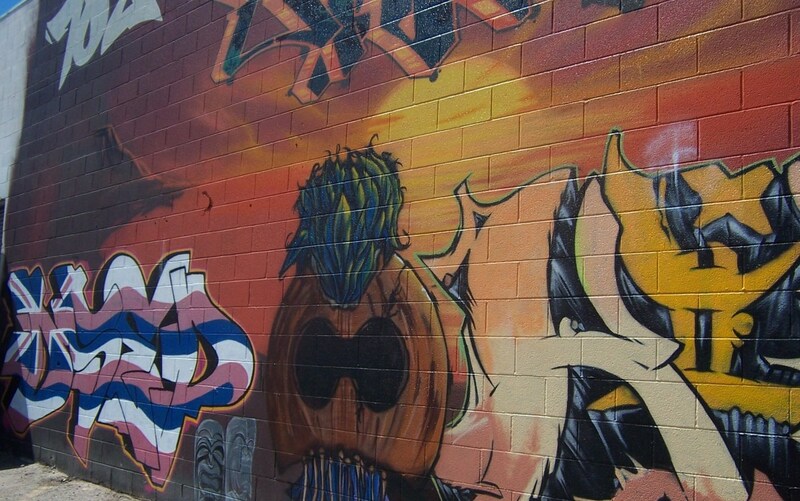 Great list for locals and tourists alike. Vegas is a great culinary destination, one must remember to enjoy at least one memorable (nearly immortal) meal in the desert. :) It is not hard to find fantastic food in Vegas, just hard to decide what venue to visit! Thanks for sharing! I can't wait to go back.